Home is where the heart is, so why not make it the best? Korean conglomerate Samsung has been aggressive in its mobile phone sales of late, giving their American counterparts Apple, a run for their money. Now, with the launch of the all-new Family Hub – the first Internet of Things (IoT) enabled fridge, integrated with Samsung’s very own voice control assistant, Bixby, this product is set to shake the market. 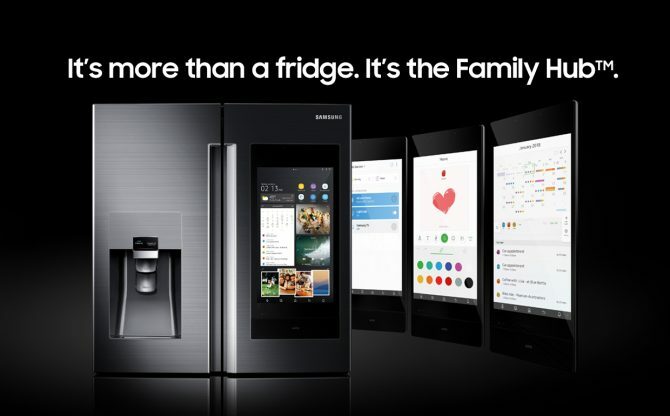 With Samsung encouraging connected living in Singapore, the built-in functions will revolutionise the way you engage with your fridge. The View Inside app allows users to see what is inside their fridge without opening its doors. Even if they are shopping for groceries outside, they can still view the contents of their fridge through their smartphones to stay updated. With everyone growing up and having individualised schedules, it can be hard to be updated of each other’s coming and goings. But with the memo app, users can leave handwritten or drawn messages and send it to family members who may be on the road. Through the calendar app, each family member can also create their unique profiles and update their own schedules to keep the rest informed.